Sunny Point Cafe - Awarding winning breakfast, lunch and dinner in Asheville, NC. Our café is small, but we do have a covered outdoor dining area so you can dine al fresco most seasons. Well behaved dogs are welcome. Dinner is served starting at 5:00pm Tuesday- Saturday, and yes, you can order items from our breakfast or lunch menu in the evenings. We are busiest weekend mornings, but have provided plenty of shaded seating so you can relax while waiting for your table. Please note that during these peak times we are unable to seat incomplete parties. Sunny Point Café is helping to raise funds, awareness, and expand community engagement with local nonprofits. When you visit the restaurant, you’ll find a collection envelope on your table where, should you choose to, you can donate to our nonprofit partner of the month. Sunny Point Café will convey all funds collected in these envelopes, along with a donation from the restaurant, to the selected nonprofit each month. Click here to see a full list of the nonprofits we’ve partnered with and the amount raised each month. 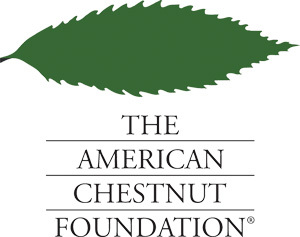 For April, our nonprofit partner is The American Chestnut Foundation. Donate in the envelope on your table and Sunny Point Café will match 20% of donations collected during the month of April 2019 up to a total amount of $1,000. The mission of The American Chestnut Foundation (TACF) is to return the iconic American chestnut to its native range, which includes Western North Carolina. This majestic tree was an essential component of the eastern U.S. ecosystem prior to an airborne fungus that was imported on Asian trees in the early 1900s. The American chestnut was susceptible, and within 50 years, billions were dead. Not only did the tree produce a reliable food source for wildlife and people, its rot-resistant wood was used to build everything from homes to fencing to furniture. Founded 36 years ago, TACF is on the cusp of restoration, using advanced backcross breeding methods, biocontrol, and biotechnology. This type of restoration would be the first of its kind, paving the way for other imperiled tree species to be rescued. TACF’s bold mission can only be achieved through the support of its members, partners, and donors. Every good word, every helping hand, and every gift moves us closer to returning this tenacious species to the 200 million-acre forest it once dominated.